You can always consider hiring a campervan to explore the scenic beauty of Christchurch in an unrestricted way. There are also reliable motorhome rental Christchurch companies like Camperco who provide well-designed, comfortable and fully-equipped vehicles. 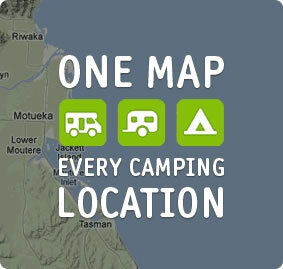 The companies further allow you to choose from several campervan models according to the size of your group. The campervans also include gas cookers, pots, plates and utensils required for preparing delicious meals. However, each time you prepare food, the kitchen will become messy. As you cannot afford to use adequate water, it becomes essential to know some simple ways to clean the kitchen. While cleaning the kitchen, you have to start by removing the built-up grease from the filter elements of the stove. However, you must avoid scrubbing the filter elements to protect the screen. After removing the grease, you have to rinse the filter parts properly, and allow the filter to dry properly. Likewise, you also have to clean the stove top after preparing meals. The stove top can be cleaned easily by using a mild soap or a multi-purpose RV cleaner. Also, you need to check if the stove top plate has become messy. You can simply remove the stove top plate, and wipe it out to remove any spills or crumbs. Similar to the stove top plate, you also need to clean the oven, sink and counter tops on a daily basis. These items can be cleaned easily by using any mild cleaner or soapy water. But you must avoid using steel wool to clean these items. Instead, you can use a damp and soft cloth or lamb’s wool mitt to clean the RV surfaces more safely. It is also advisable to protect the counter tops properly by using a cleaner additionally. Camperco has further deployed a team of friendly workers to help customers in understanding how to use the motorhome more comfortably. Also, the clean and well-designed vehicles provided by the motorhome rental Christchurch does not require any heavy or frequent cleaning efforts.